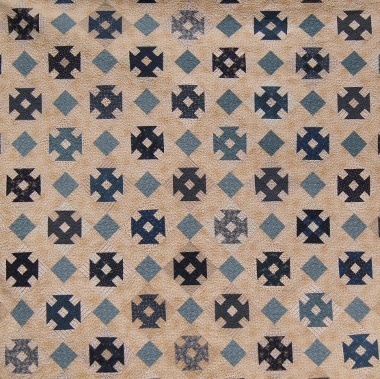 Description: Create an instant antique quilt using the mellow palette of reproduction fabrics in creams and blues. The new quilt and the antique are great companions. Rachelle is my daughter's name and means "Lamb" in French. This beautiful name evokes peace and serenity, much like my daughter. Enjoy creating this quilt.